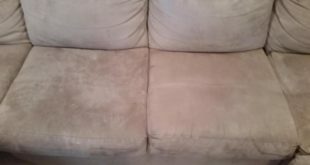 Textile sofas are comfortable, have a pleasant texture and a design that fits in almost any decor, but their big disadvantage is that they are getting dirty very quickly. Sometimes, some pretty nasty stains appear, because we tent to spill various things on them, not to mention if you have little kids around. If you look for some sort of magical solutions to make these stains disappear, lucky you, because you are on the right web page! 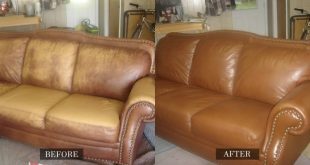 Here, you have the perfect solution to remove any ugly stains on your textile sofa, even grease stains! Mix all the above ingredients in sprayer, but be careful to mix it very well. You can mix it in a bowl, and then pour it in the spray bottle, because the baking soda has to dissolve. Then use the sprayer and spray it over the stain, and use a small dish sponge soaked in water to rub gently the stain.